Jomtien Beach Condominium. One of the popular buildings in Jomtien area less than 500 metres from the beach. 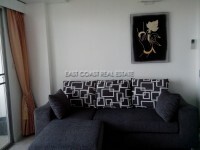 This condo complex is located on Jomtien 2nd Road and very convenient to get to Pattaya City. 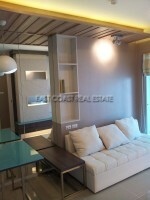 This 1 bedroom condo unit has a living area of 64m². It will be rented fully furnished, 2 new flat screen TV’s, fully air-conditioned, a European kitchen and a washing machine. The building provides lots of facilities such as 24 hour security, CCTV, communal swimming pool, parking space, fitness, and many restaurants on the ground floor. Available for rent with a minimum of a 12 month contract. The rental price does not include any utility bills.